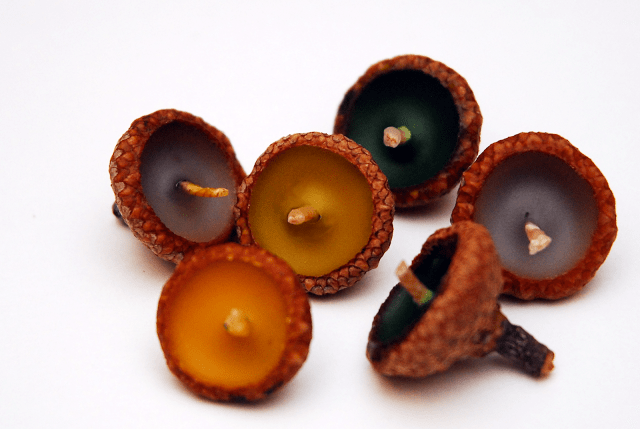 Make Floating Acorn Candles from all of those acorns cluttering up your yard! 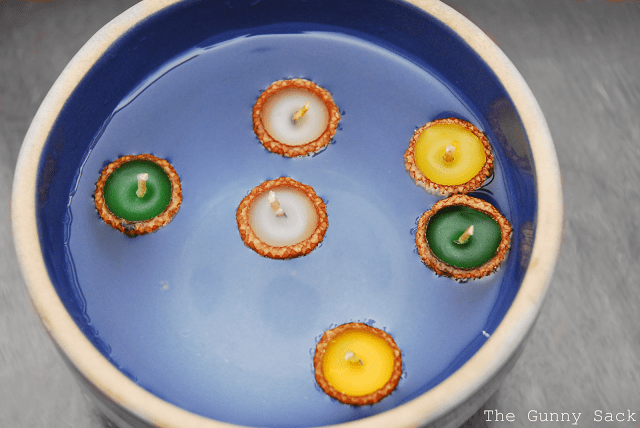 These adorable candles look so cute floating in a bowl of water. I am still loving the acorns in my yard and had to come up with another acorn project (and I’m sorry but there might be more to come) I was looking at my candle supplies and the acorn caps and remember seeing a post about mini candles made in bottle caps. I poked the acorn caps into a large piece of styrofoam to keep them in place while pouring in the hot wax. I placed a chunk of wax on a spoon and melted it over a flame. 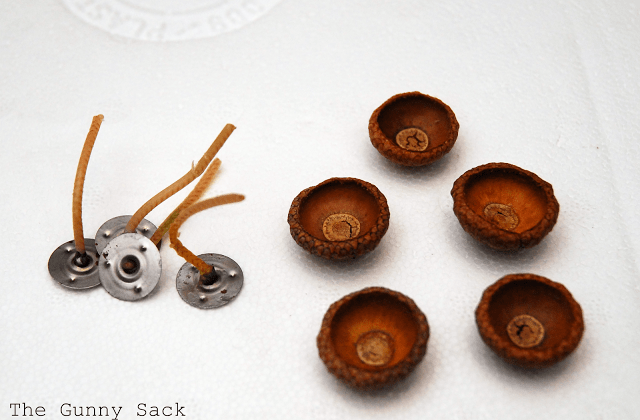 Then, I poured the wax in the acorn caps and held the wick in place until the wax hardened and the wick stayed. I added green candle tint to 2 of the caps and yellow to the other 2. After the wax has hardened, trim the wick. They cannot be burned like this because they are not sitting flat plus I’m not sure if the acorn cap would burn. So, put them in a pretty bowl of water and let them float! I did not burn any of these yet but I do not think they will burn long because of how small they are. 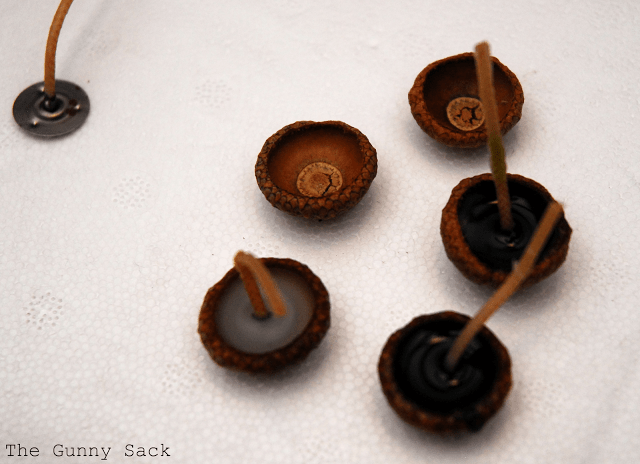 An update…this morning, I added more wax to each acorn candle so that they were completely full. The wax settled into a cup shape overnight. Then, I put one burning and timed it. The candle burned for 14 minutes but I am sure that completely depends on the size of the candle. Does the wax leak out of the candles as they burn? Thank you, Lydia! I can see that it is going to be a great year for acorns at my house! Where do you buy the wicks? And How long do they normally burn? 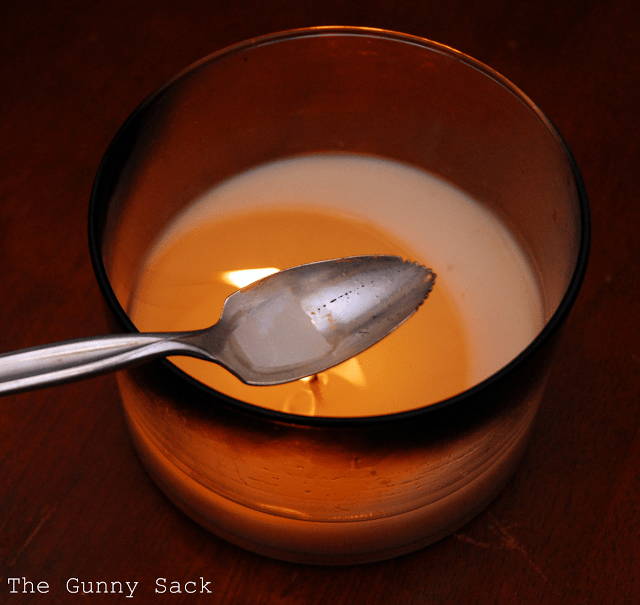 1 – Did you use the wicks with the metal disk on the bottom, or did you just use a piece if wick? 2 – I can’t imagine sitting there holing them all until they harden. How long did that take? Just suggestion..but DON’T use such a big wick next time..that is why they burn SO quickly..the bigger the wick, the hotter the flame and the faster they burn out! Ahhh…thanks for the tip, Linda! I had no idea that was why! Oh my! No that didn’t happen but yikes! Good thing they were floating in water!! 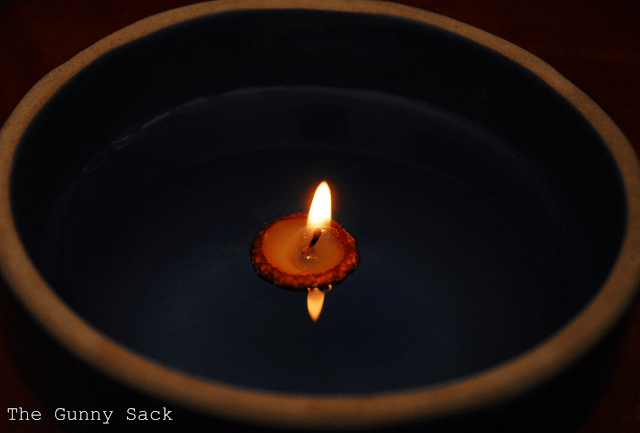 Here’s pictures of my candles with a link to your tutorial. These are adorable! I wish we had acorns here cause they would be getting made now! Thanks for posting! Just pinned this to my DIY Crafts pinn board! What a great idea! And this is why I love your blog! You have the best ideas on here! 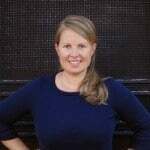 I am so glad you shared this @ Show & Share! Never ever EVER would have thought to make candles out of these. They turned out so great and I can just see these on a Thanksgiving table. So lovely.